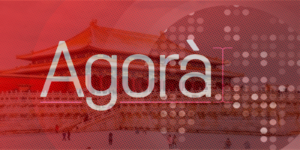 Yesterday, Thursday 12th April, I was the guest live from Beijing on Agorà program, RaiTre, conducted by Serena Bertone with guests: Carla Cantone, Daniela Santanchè, Francesco Galietti, Francesco Verderami, Federico Germicca and Paolo Cirino Pomicino. The main topics discussed were: the formation of the new government, the agreement between the parties and their political programs. In my speech, I stressed that: 1) the Universal Basic Income (UBI) should not be understood as a policy for the South or as a cost to the state, but an investment that this makes to stimulate the economy. Moreover, it does not need additional coverage because it can, under some hypotheses, be self-financed; 2) the flat tax of Matteo Salvini and the “citizenship income” are absolutely compatible, indeed they must be implemented both, one without the other does not work; 3) and therefore Lega – Movimento 5 Stelle is the most compatible couple to form a government.